January 17th is the official day of the Feast of Saint Anthony, and is the start of the Bosana carnival. It is by far the most eagerly awaited festival of the year, not only by the Community but also by visitors who come to the town just for the occasion. The special feature of the Bosana carnival is the representation and symbolism of sensual spontaneity which is always full of imagination and inventiveness. 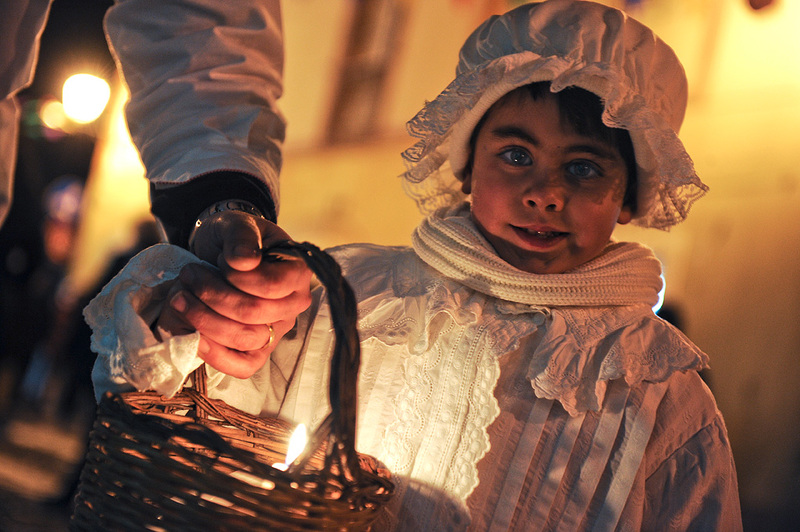 The festivities take place around the day of Shrove Tuesday. There is a classic float parade and also the “Saturday of the wineries,” where everyone can freely choose their own mask and walk through the streets of the old Town tasting local foods and wines at the many wineries open for the occasion. 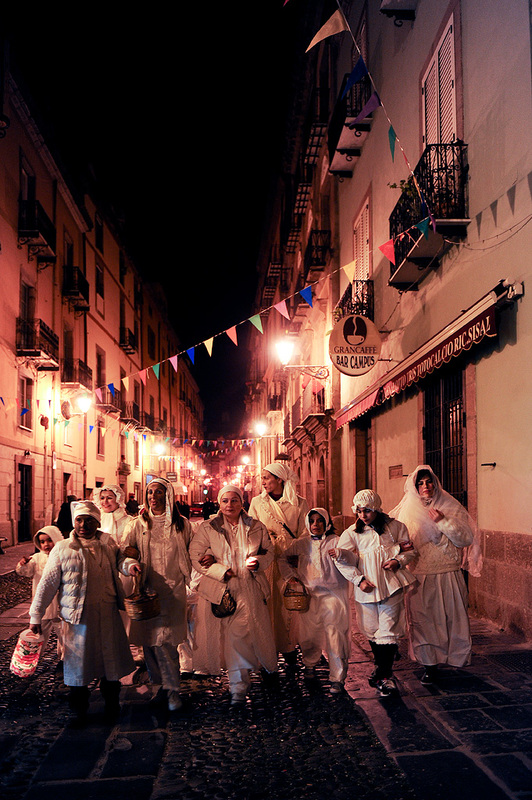 The main highlight of the Bosana carnival is the Mardi Gras, which has its roots in farming rituals and is made up of two phases. The first part takes place in the morning and stars all of the inhabitants of the town. 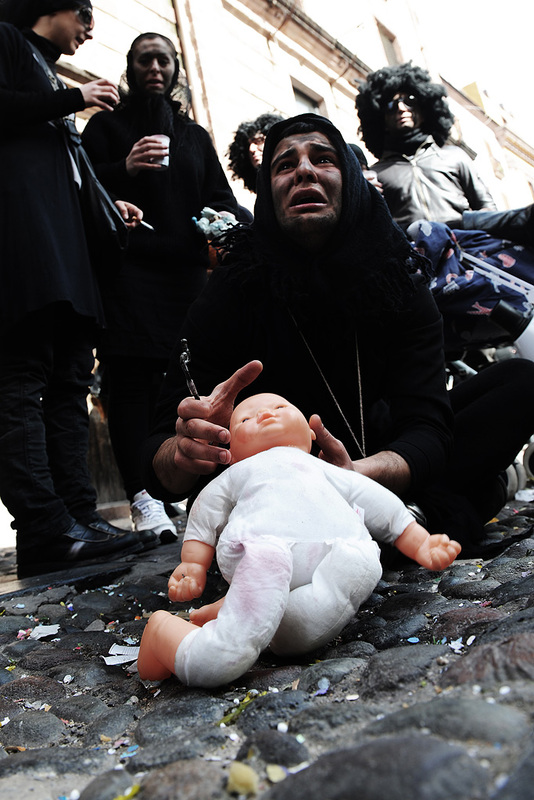 Everyone is dressed in black and recites a funeral lament whilst weeping and shaking a doll. This represents the Carnival newborn which is about to die prematurely as it could not feed due to an unnatural mother involved in recreation. The plot of the funeral lament (which is called the s’attittidu) is built on a parody that ultimately refers to a general demand for milk and is aimed at women that are unmasked. The demand for milk, wine or other, which allows relationships to be established, is metaphorically played at the level of ambivalence of sexual innuendo. People dress in costumes of the poor, wearing old shawls, skirts and dresses (strictly black), to symbolise a woman in mourning. The second phase, Giolzi (King George), takes place in the evening twilight. The painted black faces of the morning give way to a strictly white cape and hood, which are made from a sheet, tied between the neck and shoulders, and a pillowcase. This costume represents the Carnival which is about to end. At this stage people walk around holding a lantern, letting it go, and trying to find it again, which represents the search for Giolzi. This is accompanied by choirs repeating Giolzi, Giolzi, ciappadu, ciappadu (translated as Giolzi, Giolzi, found, found). At the end of the evening a puppet representing the Giolzi is burned at the stake and this concludes the festivities.